Fruitcakes: See it being made! You’ve paid a premium price for one of my cakes and it’s been delivered, but now what? 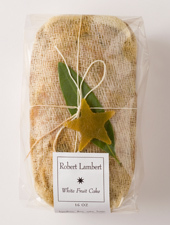 No subject prompts more questions from customers than how to care for your Robert Lambert fruitcake. How to store it? Age it? Serve it? To begin with, whether you eat it now or want to save it, keep all original packaging intact, but put it in a second zip top bag, and refrigerate it. Cellophane breathes slightly, like wrapping cheese in waxed paper, a permeable barrier that nevertheless needs a second stronger one to keep off flavors from penetrating and keep in moisture. Secondly, left to their own devices, these cakes are fairly indestructible. Properly handled, they will last for years. While the label says keep refrigerated, and they should be, a few days or even weeks without it will do no real harm. Grandmother kept hers in the big stoneware crock in the cellarway, a cool dark place. For us it’s the fridge. This is for long-term viability, but also to keep the cake firm enough to cut properly. 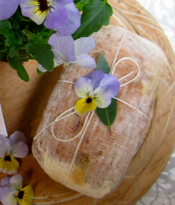 To cut, slide the cake out of its bag, cut the string at one end and peel back the cheesecloth. To cut through all the nuts and fruits, a sharp serrated bread knife is the best choice. Cut the slices as thin as you can. I try for about an eight of an inch, shaved like cheese, so “the flavor has nowhere to hide.” To store, pull the cheesecloth back over the end, slide it back in the cellophane bag, then in the zip top bag. Alcohol levels are, I’ve found, subject to personal taste, but I don’t believe in dousing these cakes repeatedly with booze. I keep and age all cakes in their original parchment pan liners. I add no liquor until I wrap them, and I don’t wrap them until they’re ready to be sold. The amount is tightly controlled, 3 tablespoons total on each cake and cheesecloth. This flavors the cakes, but also acts as a disinfecting barrier that keeps the cake from drying out. If you are aging one yourself, and the original dousing evaporates over time, you may want to douse the cheesecloth with more alcohol before you serve it. A couple tablespoons at most, Cognac for the White and Winter, whiskey for the Dark. Let it soak in for a few days before you cut it. Hope this answers all your questions! In an effort to spring fruitcakes from their Holiday mental prison, I offer my Summer Fruitcake! No brilliant red glacéed cherries, but glacéed apricots, dried pineapple, dried dark cherries, pears and nectarines all plumped in peach and guava nectar, and accented with pear and cherry eau-de-vie. Pecans, almonds, hazelnuts and Brazil nuts join shredded coconut. To Meyer lemon, Rangpur lime and blood orange peels I’ve added Seville orange peels as well. The batter is similar to the White Fruitcake, but with peach and guava nectar instead of orange juice, and scented with cardamom, cinnamon and vanilla.The soaking cognac is infused with the rare, fragrant Shekwasha citrus peel. The garnish of a fresh bay leaf and lovely spring flower is sure to banish all thoughts of cedar boughs and holly! All fruitcakes weigh just over a pound and measure approximately 6" x 3" x 2". Each cake is a carefully crafted taste experience... and known to be among the finest in the marketplace. My grandmother's original recipe. I've removed most of the glacéed fruit and added my own creations, but the cherries and pineapple are still here. There are fine Brazil nuts, local pecans and whole blanched toasted almonds. Walnuts are blanched before toasting to reduce their bitterness. Deeply ripe DeSantis Farms oranges are squeezed for juice just before it's added. Their golden raisins are here, the best I've ever had. My candied bergamot, Rangpur lime, Meyer lemon and blood orange peels, the rare Buddha’s hand citron, my candied young ginger all contribute to this renowned symphony of flavors. Each cake is soaked in the finest French cognac infused with herbs and spices, topped with a California bay leaf and candied white grapefruit peel star. 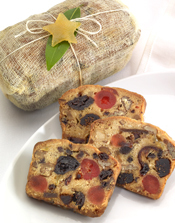 Cooks traditionally made a both a light and a dark fruitcake. Along with dark colored fruits like dates, prunes and dark raisins, molasses, brown sugar, port wine and spices made a dark fruitcake darker in flavor as well. Since my grandmother's recipe was lost, I worked from many old sources to forge a unique take on this classic. For spices I chose cardamom, cinnamon and nutmeg, then my favorite 10-year-old Ficklin port, local hazelnuts and pecans. Walnuts are blanched before toasting to reduce bitterness. Deeply ripe DeSantis Farms oranges are squeezed for juice just before it's added. I plump their dried black figs in Pear William eau de vie. An ancient variety of date comes from Flying Disc Ranch in Thermal, California. Into the mix go my own rare candied Buddha's hand citron, bergamot orange, blood orange and white grapefruit peels, candied young ginger. Each cake is soaked in Jack Daniels whiskey spiked with herbs and spices, topped with California bay leaf and candied blood orange peel star. Like the English Plum Puddings that were traditionally made a year ahead, fruitcakes do improve with age. All my cakes rest at least a month before I sell them. In this case, older is better. This is not, as you might think, an attempt to unload last year’s leftovers at premium prices. I actually bake and set aside a certain number every season to age, and it costs a lot to keep them in climate controlled refrigeration all that time, but it’s worth it. 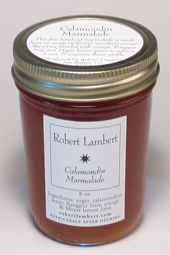 Over the last year the flavor has developed, expanded and become more complex. Like a wine that was fun while young but more serious now that it's aged, these fruitcakes have become a real fruitcake lover's treat. I have managed to hold on to a limited number of White Fruitcakes from 2015, get them while you can! 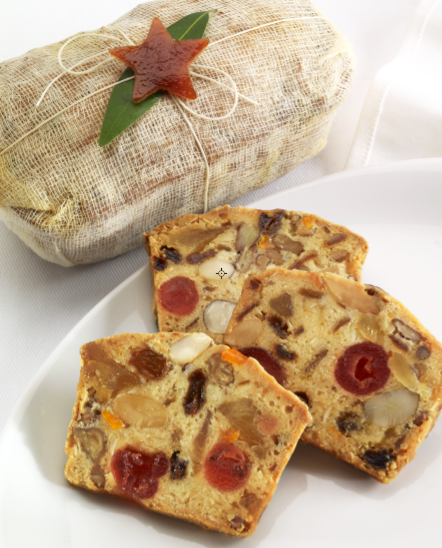 Like the English Plum Puddings that were traditionally made a year ahead, fruitcakes do improve with age. All my cakes rest at least a month before I sell them. In this case, older is better. This is not, as you might think, an attempt to unload last year’s leftovers at premium prices. I actually bake and set aside a certain number every season to age, and it costs a lot to keep them in climate controlled refrigeration all that time, but it’s worth it. Over the last two years the flavor has developed, expanded and become more complex. Like a wine that was fun while young but more serious now that it's aged, these fruitcakes have become a real fruitcake lover's treat. 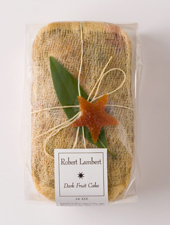 I have managed to hold on to a limited number of Dark Fruitcakes from 2015, get them while you can! Like the English Plum Puddings that were traditionally made a year ahead, fruitcakes do improve with age. All my cakes rest at least a month before I sell them. In this case, older is better. This is not, as you might think, an attempt to unload last year’s leftovers at premium prices. I actually bake and set aside a certain number every season to age, and it costs a lot to keep them in climate controlled refrigeration all that time, but it’s worth it. Over the last two years the flavor has developed, expanded and become more complex. Like a wine that was fun while young but more serious now that it's aged, these fruitcakes have become a real fruitcake lover's treat.